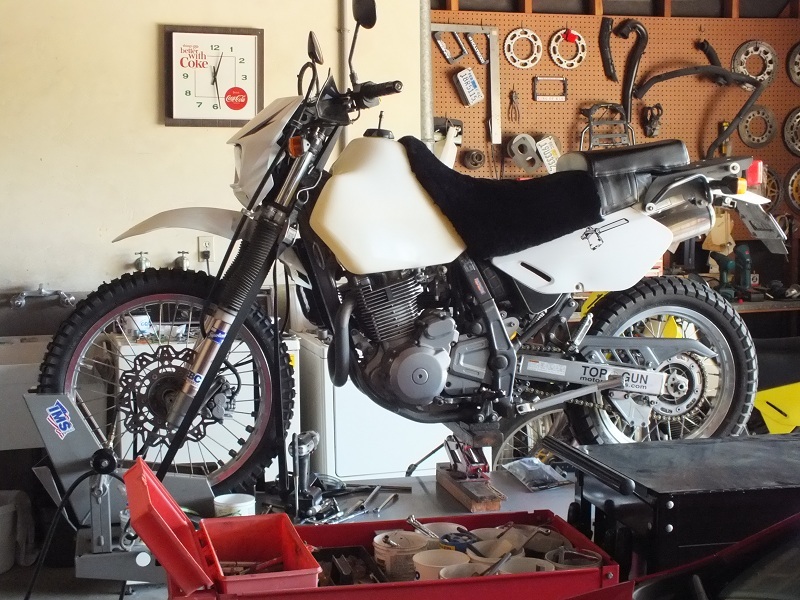 You are here: Home / Technical Insights / Protect Your Suzuki DR650SE Starter Torque Limiter!!! Sixty-two years and more than a million miles later, the best motorcycle I’ve ever owned is sitting in my garage. It’s not for sale and you can’t buy one like it or build one unless you know how to make the more than three dozen improvements that took place over a 15 year evolution. Some of these improvements required help from experts like Vey de la Cruz (the best motorcycle engine builder and tuner I’ve ever known), Stig Pettersson (PPS/Ohlins suspension icon), Chuck MacDonald (metal fabricating whiz), Steve Murray (IMS), and seats by Seat Concepts. In 1996 and 1997 Suzuki had correctly placed this torque limiting gear in the starter mechanism, thus no broken crankcase sets to replace. The only problem was that excessive wear of the gear’s metal and friction plates, caused by too much slippage during cold weather starts, resulted in frequent replacement problems. This irritated customers and probably caused warranty cost increases for Suzuki. For the 1998/1999 model years Suzuki got stupid. Instead of re-engineering the starter mechanism, they replaced the torque limiter with a solid non-slipping rear that caused (you guessed it) broken crankcases due to backfires. For the 2000 model year the starter torque limiting gear returned and is still saving crankcases in 2017. 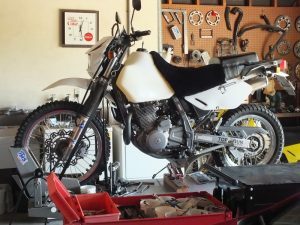 The good news is that in over 200,000 DR650SE miles, I have never replaced a starter torque limiter in any of my DR’s. I only turn the key on and push the starter button after the transmission has been shifted into neutral and the clutch lever is pulled back to the handlebar grip. If we have a cold snap, I pre-warm the engine with a small fan equipped with a heating element. Placing the bike in the sun for a while before riding will also often do the trick. Then I continue with the procedure in step one. The goal is to avoid the obvious sound of screeching starter torque limiter plates at start up time. If they are screeching, they are wearing. 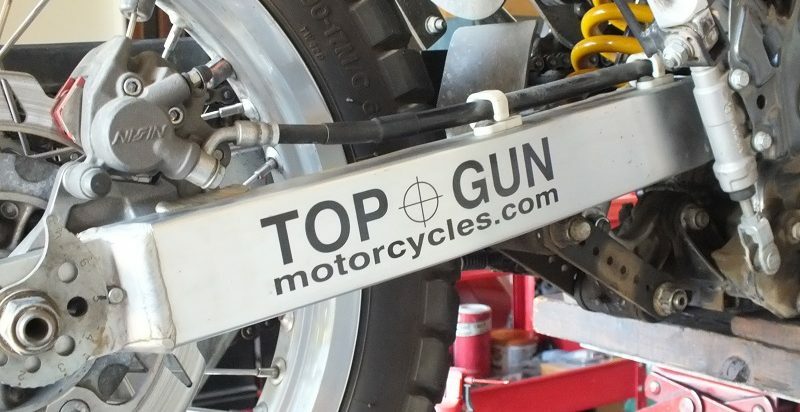 Remember, good motorcycle maintenance is a must if you want reliability. And little tricks like taking care of your starter torque limiter will give you miles of trouble free riding.